Draft: 2007, New York Mets, 32nd rd. 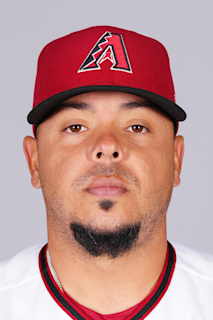 Full name is Juan Carlos Centeno...Last name is pronounced "sen-TEN-oh." Married his wife, Celly Garnett, on 1/1/12...They have a son, Juan Diego (born 7/14/14). Signed by Junior Roman (Mets). Graduated from Antonio Luccheti High School in Arecibo, Puerto Rico. Split the season between TEX and Triple-A Round Rock...Threw out 18 of 41 attempted base stealers (43.9%) in the minors. In 18 spring training games with TEX, went 11-for-33 (.333) with 7 runs, 2 2B, 3 HR, and 2 SB. Began the year with the Rangers, appearing in 10 games between 3/31-5/2. Homered off Corey Kluber in his final ML game of the season on 5/2 at CLE. Designated for assignment on 5/3 and outrighted to Round Rock on 5/7. Hit a grand slam on 5/19 at New Orleans. Over an 8-game stretch from 7/4-18, hit .387 (12-for- 31) with 8 runs and an .844 OPS. Hit .315 (17-for-54) with 3 2B and 11 RBI over his final 15 games of the season from 8/4-9/2...Drove in 8 runs in his final 4 games. Batted .231 over 22 games/15 starts spanning 3 stints in lone season with Houston: 5/21-25, 8/5-22, 8/31-end of season…made 2 starts during the May stint, hitting HR both 5/23 vs. DET (Jordan Zimmermann) and 5/25 vs. DET (Justin Verlander), 1st player in franchise history to hit HR in each of his 1st 2 games with the club…was 7-for-16 (.438) over his 1st 4 G/ GS for Astros spanning 1st 2 stints…hit walk-off RBI single on 8/6 vs. TOR (Roberto Osuna)…would bat .139 (5-36) over final 18 contests…served as 3rd catcher on postseason roster for all 3 rounds, but saw his only playoff action in Game 3 of the ALDS at Boston…caught 9th inning in that game, the Astros' lone loss in that series, and did not have a plate appearance…spent bulk of season at Triple-A Fresno, posting a .311/.354/.383/.737 slash line over 65 games…hit .343 (23-67) with RISP at Triple-A… through 7/27, had .385 BA and .811 OPS for Fresno, but was 5-for-38 in final 10 G…threw out 14 of 52 (26.9%) attempted base stealers, and his 12 passed balls were most in PCL. Set career highs in almost every offensive category, in what was his busiest season in the Majors, as the Twins backup catcher...played in 55 games, and batted .261 (46x176) with 12 doubles, a triple, three homers and 25 RBI...was an invite to Twins spring training after signing as a minor league free agent, was reassigned to minor league camp March 26 and began season with Triple A Rochester...played in 15 games for the Red Wings...was hitting .245 (12x49) and had his contract selected by Minnesota on May 6 (John Ryan Murphy optioned)...hit his first career home run on May 14 at CLE, a two-run shot off RHP Corey Kluber...set career-high with three hits and three RBI on July 24 at Boston, two of the three hits being doubles...hit his first career triple on Aug. 8 vs. Houston, off RHP Collin McHugh...hit .270 (44x163) with 12 doubles, three home runs and 24 RBI in 47 starts (all at catcher)...caught 53 games (47 starts), second most on the club (Suzuki 99 games). Made 10 appearances with the Brewers, in what was his third season in the Majors, and first outside of the Mets organization...recorded one hit (double) in his lone stint with the club...started the season with Triple A Colorado Springs ...played in eight games for the Sky Sox before being recalled by Milwaukee on April 21...played 10 games for the Brewers, going 1x21 and was optioned back to Colorado Springs on June 1...hit safely in season-high in 11 straight for Sky Sox from Aug. 9-25, hitting .459 (17x37) with three doubles, one triple and 11 RBI during the span...hit .304 (38x125) against right-handed pitching for Colorado Springs, and .275 (14x51) against left-handed pitching...declared for free agency on Nov. 6 and was signed by Minnesota as minor league free agent on Nov. 30. Spent the majority of the season with Las Vegas (AAA) of the Pacific Coast League, hitting .305 (65-213) in 67 games before a September call-up to the major leagues...Also appeared in six games with Binghamton (AA) of the Eastern League. The Mets selected his contract from Las Vegas on September 9... Made his major league debut on September 18 vs. San Francisco...Had two hits and an RBI. Made three starts behind the plate for the Mets...Threw out one of five potential base stealers. Hit .333 (29-87) at Triple-A in the second half of the season...Batted .310 (9-29) against lefthanders and .304 (56-184) against righties for the 51s. Went 21-61 (.344) with one extra-base hit with runners in scoring position for Las Vegas. Hit .280 (21-75) in 28 games with Carolina of the Puerto Rican Winter League. Played the entire season with Binghamton (AA) of the Eastern League...Hit over .300 in July (.311) and in August (.302)...In 13 July games, he went 14-45 with two doubles and seven RBI...In15 contests in August, he was 16-53 with 12 RBI...Compiled a .311 (28-90) mark after the All-Star break...Fashioned a .307 (23-75) batting average vs. lefthanded pitching...For the year, he had 15 games with two hits and six games with three hits...Put together back-to back three hit games,August 12 at Harrisburg and August 15 at New Hampshire...Knocked in a season-high four runs, without a hit, August 7 vs. New Britain...His last two RBI came in the bottom ofthe ninth on a groundout for the game winner...Threw out 29 of 70 (41%) runners attempting to steal. Compiled a .346 average in eight games in May (9-26), a 333 (8-24) average in seven games in June and a .389 (14-36)average in 13 games in August. Played in 32 games for Brooklyn (A) of the New York-Penn League, 11 games for St. Lucie (A) of the Florida StateLeague and one game for Binghamton (AA) of the Eastern League...At Brooklyn, he compiled a 394 (28-71) average in 27 games in July, August and September. Spent the entire year with Brooklyn (A) of the New York-Penn League. November 14, 2018 C Juan Centeno assigned to Indios de Mayaguez. November 13, 2018 Boston Red Sox signed free agent C Juan Centeno to a minor league contract and invited him to spring training. November 13, 2018 C Juan Centeno assigned to Pawtucket Red Sox. October 2, 2018 C Juan Centeno elected free agency. May 7, 2018 Texas Rangers sent Juan Centeno outright to Round Rock Express. May 3, 2018 Texas Rangers designated C Juan Centeno for assignment. November 27, 2017 Texas Rangers claimed C Juan Centeno off waivers from Houston Astros. August 31, 2017 Houston Astros recalled C Juan Centeno from Fresno Grizzlies. August 24, 2017 Houston Astros optioned C Juan Centeno to Fresno Grizzlies. August 5, 2017 Houston Astros recalled Juan Centeno from Fresno Grizzlies. May 27, 2017 Houston Astros optioned C Juan Centeno to Fresno Grizzlies. May 21, 2017 Houston Astros selected the contract of Juan Centeno from Fresno Grizzlies. December 19, 2016 C Juan Centeno assigned to Fresno Grizzlies. December 15, 2016 Houston Astros signed free agent C Juan Centeno to a minor league contract and invited him to spring training. November 23, 2016 C Juan Centeno elected free agency. November 18, 2016 Minnesota Twins sent C Juan Centeno outright to Rochester Red Wings. May 6, 2016 Minnesota Twins selected the contract of C Juan Centeno from Rochester Red Wings. December 15, 2015 C Juan Centeno assigned to Criollos de Caguas. December 15, 2015 C Juan Centeno assigned to Rochester Red Wings. November 30, 2015 Minnesota Twins signed free agent C Juan Centeno to a minor league contract and invited him to spring training. November 6, 2015 C Juan Centeno elected free agency. November 2, 2015 Milwaukee Brewers sent C Juan Centeno outright to Colorado Springs Sky Sox. October 29, 2015 C Juan Centeno assigned to Cangrejeros de Santurce. October 5, 2015 Milwaukee Brewers recalled C Juan Centeno from Colorado Springs Sky Sox. July 3, 2015 Colorado Springs Sky Sox activated C Juan Centeno from the 7-day disabled list. June 26, 2015 Colorado Springs Sky Sox placed C Juan Centeno on the 7-day disabled list retroactive to June 24, 2015. June 23, 2015 Colorado Springs Sky Sox activated C Juan Centeno from the 7-day disabled list. June 18, 2015 Colorado Springs Sky Sox placed C Juan Centeno on the 7-day disabled list retroactive to June 16, 2015. June 1, 2015 Milwaukee Brewers optioned C Juan Centeno to Colorado Springs Sky Sox. April 21, 2015 Milwaukee Brewers recalled Juan Centeno from Colorado Springs Sky Sox. March 31, 2015 Milwaukee Brewers optioned C Juan Centeno to Colorado Springs Sky Sox. October 31, 2014 Milwaukee Brewers claimed Juan Centeno off waivers from New York Mets. October 30, 2014 C Juan Centeno assigned to Senadores de San Juan. September 1, 2014 New York Mets recalled C Juan Centeno from Binghamton Mets. July 31, 2014 C Juan Centeno assigned to Binghamton Mets from Las Vegas 51s. May 29, 2014 New York Mets optioned C Juan Centeno to Las Vegas 51s. May 15, 2014 New York Mets recalled Juan Centeno from Las Vegas 51s. March 18, 2014 New York Mets optioned C Juan Centeno to Las Vegas 51s. November 1, 2013 C Juan Centeno assigned to Gigantes de Carolina. September 9, 2013 New York Mets selected the contract of Juan Centeno from Las Vegas 51s. May 28, 2013 Juan Centeno roster status changed by Las Vegas 51s. May 18, 2013 Las Vegas 51s placed C Juan Centeno on the 7-day disabled list. April 18, 2013 C Juan Centeno assigned to Las Vegas 51s from Binghamton Mets. January 14, 2013 New York Mets invited non-roster C Juan Centeno to spring training. April 5, 2012 Juan Centeno assigned to Binghamton Mets from St. Lucie Mets. March 23, 2012 C Juan Centeno assigned to New York Mets. October 2, 2011 C Juan Centeno assigned to Peoria Javelinas. June 2, 2011 Juan Centeno roster status changed by St. Lucie Mets. May 26, 2011 St. Lucie Mets placed C Juan Centeno on the 7-day disabled list. April 7, 2011 C Juan Centeno assigned to St. Lucie Mets from Brooklyn Cyclones. March 22, 2011 C Juan Centeno assigned to New York Mets. October 25, 2010 C Juan Centeno assigned to Senadores de San Juan. June 16, 2010 Juan Centeno assigned to Brooklyn Cyclones from Binghamton Mets. June 8, 2010 Juan Centeno assigned to Binghamton Mets from Brooklyn Cyclones. June 7, 2010 C Juan Centeno assigned to Brooklyn Cyclones from Buffalo Bisons. June 4, 2010 Juan Centeno assigned to Buffalo Bisons from St. Lucie Mets. May 2, 2010 Juan Centeno assigned to St. Lucie Mets from Brooklyn Cyclones. November 11, 2009 C Juan Centeno assigned to Gigantes de Carolina. June 17, 2009 Juan Centeno assigned to Brooklyn Cyclones from GCL Mets. June 11, 2007 New York Mets signed C Juan Centeno.